Tour Price per person : Package Adult Child(With extra bed) Child(Without bed) Below 5 years Hotel Used Delux Rs. 26000 Rs. 20000 Rs. 14000 Complimentary The Classic Standard Rs. 20000 Rs. 14000 Rs. 11000 Complimentary Nirmala or similar Budget Rs. 11000 Rs. 8000 Rs. 6500 Complimentary Bheigo or similar . IMPHAL Arrive Imphal. On arrival transfer to Hotel . Day rest for own activity. IMPHAL-LOKTAK Today we visit the largest fresh water lake in North East India – Loktak Lake which is approx 1 hrs drive from Imphal . Then visit INA museum – the place where Netaji SUbhash Chandra Bose's India National Army first hoisted the Indian Tricolour . Visit Loukoi Pat – a picnic spot with boating facility On return we will visit Japanese War memorial . Overnight in Imphal. IMPHAL-MOREH Today we will visit the Myanmar Border town of Moreh( 3-4 hrs drive). On reaching there we will visit the nearest town of Myanmar i.e Tamu after crossing the international border. Overnight in Moreh. MOREH-IMPHAL Morning Shopping in the Namphalong Border Market. After Lunch we return to Imphal. Overnight in Imphal. 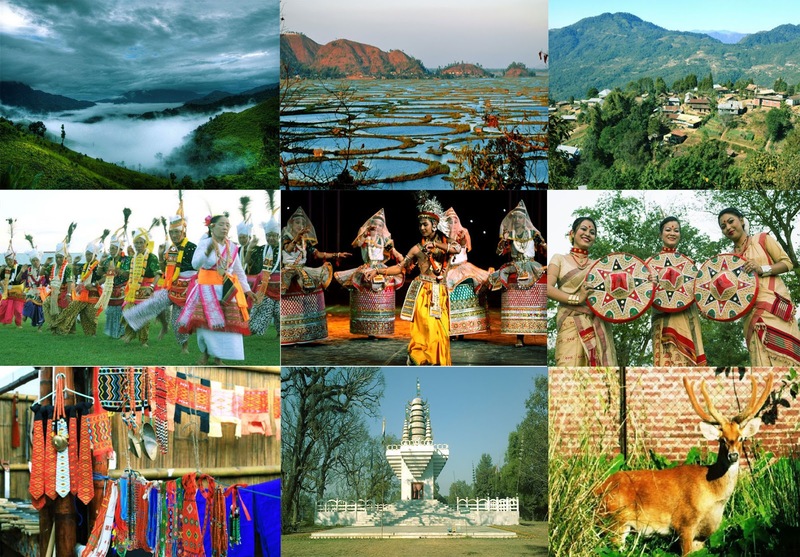 IMPHAL-UKHRUL-IMPHAL Day trip to Ukhrul(3 hrs drive) – a picturesque hill town of Manipur. Enjoy the breathtaking natural landscape while driving . Return to Imphal by evening. 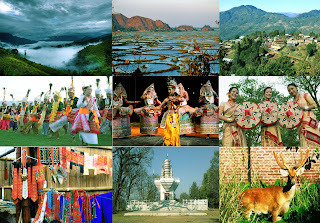 IMPHAL Full day sight seeing of in and around Imphal which includes historic Kangla Fort, Govindajee Temple, Mahabali Temple, Imphal Museum , Iskon Temple, Kwhairamband Keithel popularly known as Ima Market, II World war cemetry . LEAVE IMPHAL Dropping at Airport. Tour Ends.